ST. GEORGE — With the start of the new year, it’s common and even encouraged to turn our mind set from holiday treats to finding answers to our health. Who doesn’t want a fresh start and a new beginning? But where to start? Diets and exercise are great – and you know they help – but have you thought about the answers your genes could hold? The way you function and live your everyday life is a result of your genes plus the environment around you. By doing genetic testing to look at your genetic code, you gain a wealth of knowledge about what you need specifically to function at your very best. It gives answers that everyone struggles to find, such as what foods you should eat or avoid and what supplements will benefit you as a unique individual. No more of this one-size-fits-all approach to healthcare; it’s time to make this personal. Understanding the unique variation of your genes allows you to very specifically and more powerfully control your mood, inflammation, energy, detox pathways and much more. What is ‘methylation,’ and why should I care? Methylation has been a buzz word in the health world lately, and rightly so. Without proper methylation, many of the chemical processes of our bodies would just stop. Simply put, this is how your body uses B vitamins for energy and starts the detoxification process. In technical terms, methylation is a chemistry term implying that one carbon and three hydrogens are transferred from one substance to another. This allows the body to change the chemical structure of these substances, which facilitates detox, fat metabolism and cardiovascular health and makes neurotransmitters. When proper methylation occurs, the body systems can hum along without any problems. Unfortunately, about 60 percent of Americans have some kind of weakness with how they are able to methylate. Unlike other genetic tests that tell you how likely you are to die from cancer or that you are 30 percent French, biochemistry genetics tells your weakness so you can strengthen them. If you know where the weaknesses are, you can supplement around those weaknesses and bring back the vitality you once knew. Is your inflammation ‘off switch’ working properly? Inflammation is a response from the immune system when there is a problem. Sometimes these problems are small, and the inflammation is short lived. Other times the inflammation lasts for a long span of time, which unfortunately causes even more problems. There are certain switches we have that turn inflammation on, and for some of us, these switches turn on really easily. We also have switches that turn inflammation off when it is not needed anymore. But like the on switches, some people struggle to turn off their inflammation. Have you ever heard of glutathione? This is one of the key players your body uses to clean itself out. Glutathione is the body’s main antioxidant. If you have adequate glutathione, parts of your body such as your immune system, brain, liver and gut function extremely well. Without it, we end up with damaged oxidized tissues. Understanding and tracking how glutathione is made, used and recycled in different parts of the body can be a very important key to health. Understanding your bodies genetics with the different detox pathways, along with glutathione, can be the key to really supporting the body’s main functions of building itself up and cleaning itself out. Neurotransmitters are the chemicals that run our brain and therefore your life. These chemicals play a key role in some very sensitive systems, and anything that causes an imbalance in part of these systems can have dramatic influences in how we feel and function. For example, serotonin is often thought of as the happiness neurotransmitter, but it also regulates addiction, aggression, anxiety, appetite, blood pressure, heart rate, memory, sexual behavior, sleep patterns and more. And that’s just serotonin, only one of many neurotransmitters in your body. The body needs to be efficient at making these chemicals, using them and then recycling them. This is healthy. Every brain has its weaknesses, so what are yours and how can you help them? Genetics is the answer. 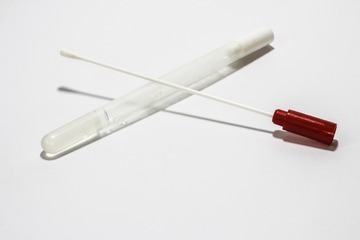 Genetic testing can be done in our office or anywhere in the country by a quick cheek swab. 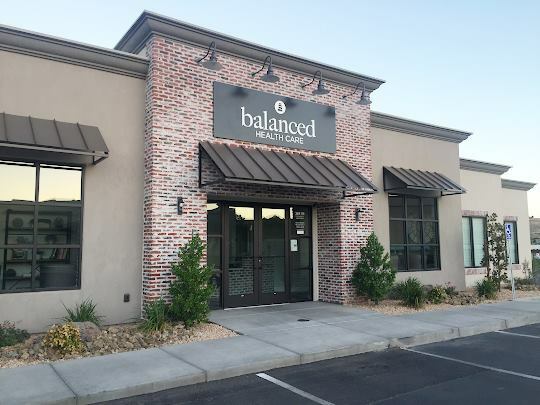 Results are usually back within 2 weeks, at which time one of the providers at Balanced Health Care will go over each of the genes tested in a one-hour appointment that will blow your mind. Looking to be healthy in 2019? It’s time to get to know you. Written DR. BRENT NOORDA, Balanced Health Care, St. George. Balanced Health Care professionals work together as a multidisciplinary team to get to the root cause of chronic conditions. They dig deep to find the answers and approach your health with a unique perspective. The teams works to get your health balanced!